It’s Friday the 13th AND my birthday today! So I want do something special! Let’s have a GIVEAWAY! 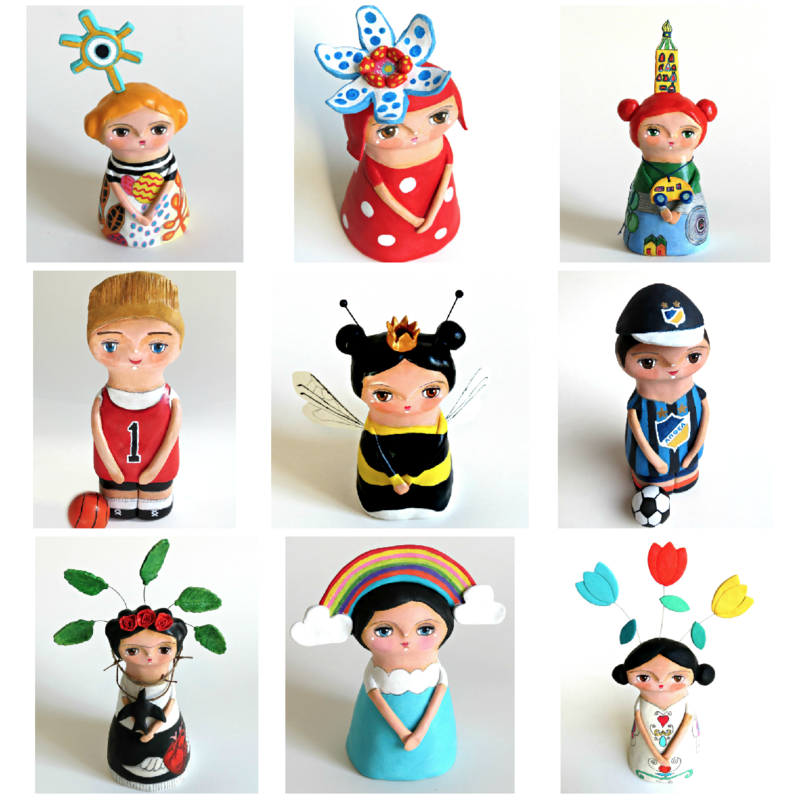 Do you have an idea for an art doll? Well, here’s your chance to win your own custom made SO SOPHIE mixed media art doll! How to enter? Simply put down your idea in a comment below. I’ll pick a winner next Friday (giveaway entries will close on Thursday 19th October 2017) and then try my best to turn the winning idea into a unique mixed media art doll just for you! One entry per person. Giveaway runs simultaneously across the blog, Facebook and Instagram! So excited to see what you come up with! Good luck! I would love a monarch butterfly one! Julie, unfortunately the giveaway entries were up to and including the 19th of October! But that’s a lovely idea and thank you. Till the next giveaway! How about choosing one of the 9 muses of the ancient Greek mythology? Clio, Euterpe, Thalia, Melpomeni, Terpsichore, Erato, Polymnia, Ourania and Calliope. I would actually love to see the whole bunch of them in an inspired and colourful series that only you can bring to life!!! How about a peace for the world doll! I think we need one of those right now! ❤️ Feliz cumpleaños! Happy Birthday. I think a healing angel doll would be lovely. With all the crazy happening in the world today a little extra attention to healing our souls is needed. Hugs! Awww, I love your dolls! As a mom with an Asperger kid I would love to see a doll with a puzzle/jigsaw piece (the symbol of Autism) and a huge heart – because without such a heart we special need moms couldn’t get through. Hi Lynn! Check out my Wonder Woman here! Loved making her! My adult son has 2 chronic digestive conditions that could one day lead to tube feeding. I think it would be awesome to see an art doll representing that or other disabilities.